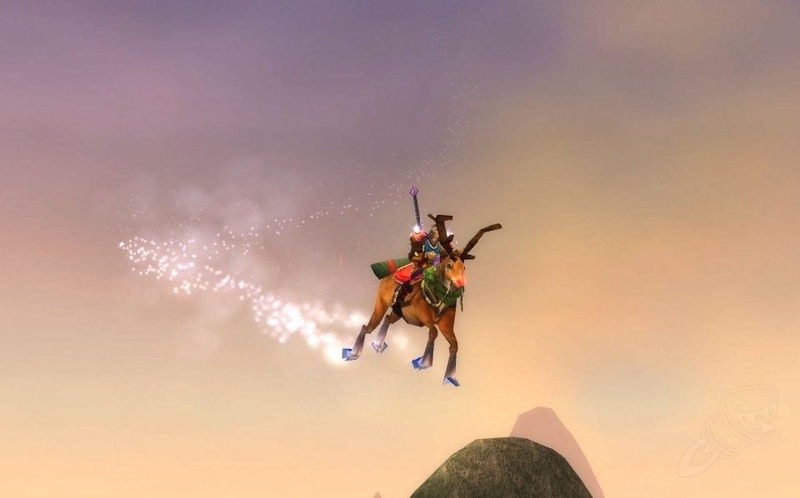 It seems the Preserved Holly has a somewhat odd effect, if you got the buff active and use Divine Steed, the steed will transform into the reindeer before the steed buff runs out, giving you a insta mount possibility. Not sure what triggers the reindeer effect, might be when you reach a set speed, making it possible for other classes too or if its some odd interaction with divine steed. - Yes you can Divine Steed > reindeer "proc" > Fly. Trying to find a way to trigger this inside, so far only managed to trigger the reindeer where you can mount, but since divine steed can be used inside it might be possible.